On the evening of March 9, about 375 people came together at the beautiful Maui Tropical Plantation, to celebrate 10 years of building school gardens with Grow Some Good at the Taste of School Gardens 2019. Mahalo to the chefs, vendors, sponsors, volunteers, auction donors and guests who made this event come together. It truly takes a community! We raised over $46,000 to support school gardens and engaged many old and new friends. Taste of School Gardens 2019 started with an opening that featuring hula and song by the 4th graders from Pōmaikaʻi Elementary School. Throughout the evening, our videos featured songs from Songs For Change where all songs were written and performed by students and teachers from Pōmaikaʻi. Kathy Becklin, current Grow Some Good Executive Director, and Dr. Phyllis Robinson, started the program. Phyllis was a founding member of South Maui Sustainability, where Grow Some Good got started 10 years ago. She is now the Program Director for FAM — the Farm Apprentice Mentoring Program so we like to think that our students may someday join her program. Phyllis interviewed Kathy about how Grow Some Good has grown over 10 years. Kathy shared that we have provided over 250,000 class hours in our gardens. The program all started 10 years ago with just one teacher and her science classes; and that teacher, Ms. Alana Kaopuiki-Pellegrino was one of our guests! Alana Kaopuiki-Pellegrino (right) was the infamous teacher who first asked us to build some garden beds. Sandee Rivas (left) was also one of first teachers at Kihei Elementary School and was instrumental in starting a garden program at our newest school, King Kamehameha III Elementary School, where she is now the technology coordinator. Maui’s most conscious instrumental funk ensemble – Three to 5! provided great music as a backdrop to the social part of the event. Food is always the #1 feature at Taste of School Gardens and once again our ten chefs blew everyone away with their fabulous creations. Guests enjoyed friends, food and drinks and the silent auction. Make sure to take a look at the detailed photos below of the delicious food, beautiful setting and look for yourself and friends. The program was kicked off by co-founder and first official garden coordinator, Kirk Surry with a short video about the Day in the Life of a Garden Coordinator. The Live Auction followed. Next, Grow Some Good co-founder, Nio Kindla, engaged the audience talking about progress that is being made in our school lunch programs through the ‘Aina Pono program. School gardens are an important part of the success of the program by connecting kids with the food they are eating. A focus on nutrition and waste reduction is improving the quality of lunches served in our schools. In celebration of Grow Some Good’s 10 year anniversary, volunteer Peter Liu compiled a video that tells our mission and garden stories, using footage collected over 10 years. This video is technically just over three minutes long, but during the 10 year’s worth of rolling credits, precious kids quotes take up another 3 minutes! Best to watch on a big screen! We closed with a final paddle raiser fundraiser, and then everyone joined hands in singing ‘ohana, from Songs for Change. Here’s the karaoke-style video of the kids singing, which was the led at the event by Ms. Melinda Carroll and the band. Melinda was the teaching artist who helped the students compose and perform the songs on Songs for Change. Enjoy all 184 photos from our Flickr Album. Day of event photography by Mieko Photography. 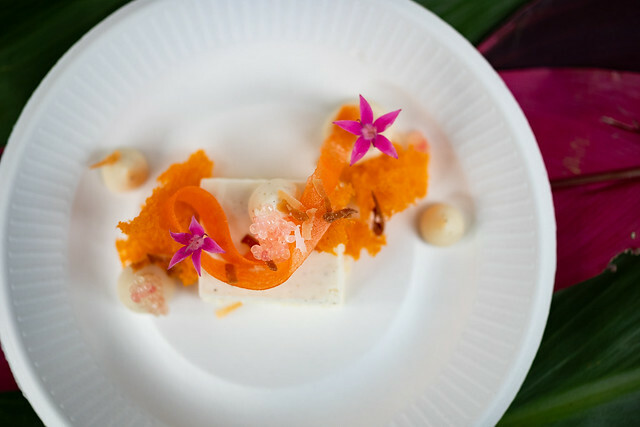 Mahalo to all who participated in the Taste of School Gardens 2019! If you missed the event and would love to contribute to this amazing cause that is changing the way kids think about their food, connecting them with the earth and building strong minds and bodies for our future generations, we would be very grateful. Join our ‘ohana!